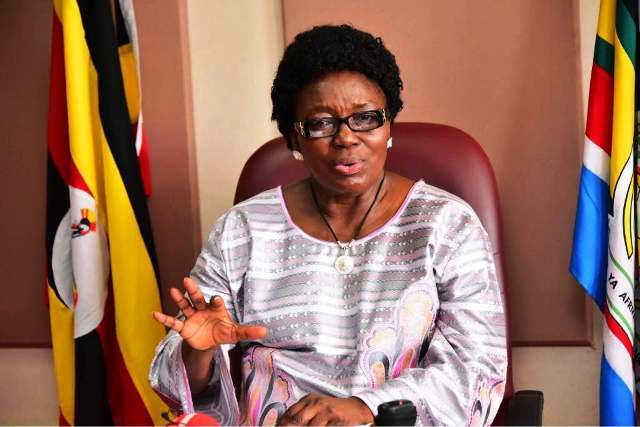 PARLIAMENT– Speaker, Rebecca Kadaga has tasked the Ministry of Health to table a statement explaining the recent decision taken by the Board of Uganda Cancer Institute to start charging Shs300,000 for patients seeking radiotherapy treatment, yet the same services had been free in the previous years. Kadaga’s directive followed a complaint raised by Julius Ochen MP Kapelebyong County who questioned the motive behind the new charge during the Wednesday plenary sitting where he asked Government to stop the cost that the board had agreed upon until a policy on that tax is reviewed in order to accommodate the most vulnerable. According to the October 30, 2018 memo issued by the Institute patients on private arrangement would part with Shs500,000 while international patients will be charged USD2,000 approximately Shs7,467,833m. Chris Baryomunsi State Minister for Housing told Parliament that the money is official and has been ongoing for about a month. In a related development, the Speaker has also asked the Committee of Health to investigate reports made by Joshua Anywarach (Padyere County) to investigate reports that Mulago hospital allocated Government land to a private individual to construct a clinic within the hospital, where patients are sent to purchase drugs by the health team.